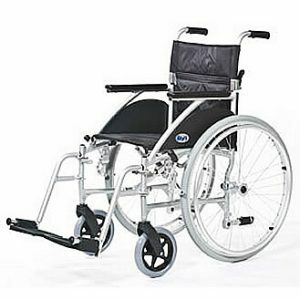 The Multicare Sonic Self Propel wheelchair with its premium aluminium frame is exceptionally lightweight. 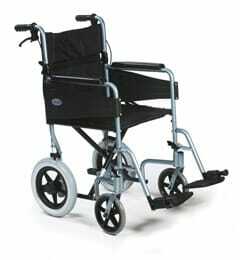 The Sonic has very high quality components it is also very strong and durable with a user weight capacity of up to 20 stone. 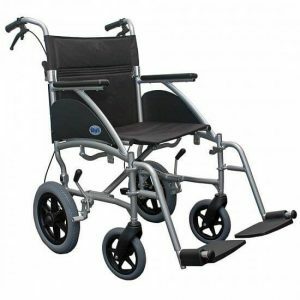 The Multicare Sonic Self Propelled chair comes with modern styling and a very comfortable and supportive seating position due to its integrated and breathable cushioned seat and backrest. The ergonomic armrests have also been designed to be quick and easy to adjust with the quick-release push button allowing you to speedily change the armrest height to your most comfortable position. Also for sitting at a table the armrests can be lowered completely. With its folding back, quick release rear wheel and swing-away removable footrests, the Sonic Self Propel is fast and easy to fold and disassemble for transport or storage. The footrests are also adjustable in height allowing you to find your most comfortable foot position and come as standard with an adjustable heel strap. The Sonic Self Propel which comes in a sky blue color has a large 24in rear wheel, but with a choice of either a 18 inches or 20 in seat width it comes as standard with attendant and wheel hand brakes keeping you safe whatever the terrain.